You may not be able to tell a book by its cover. But you apparently CAN tell which car loses value slower than average by its color. And, the odder the better, it seems, based on an analysis of 1.6 million used car sales by iSeeCars.com, an automotive data and research company that helps consumers find the best car deals. In fact, orange, yellow and green vehicles lost value a lot slower than those in more typical colors such as black, white and silver among three-year-old models, according to iSeeCars, which assessed sales of 2013 model vehicles between July 1, 2015, and June 30, 2016. 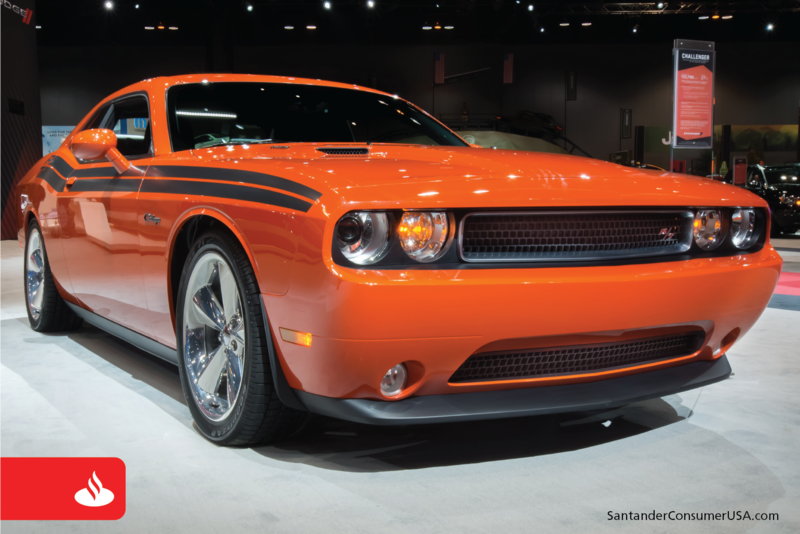 Orange cars such as this 2013 Dodge Challenger hold their value better than average. For example, orange vehicles depreciated 21.6 percent over three years, compared to the average 29.8 percent rate of depreciation for all vehicles, while gold vehicles lost the most at 33.5 percent of value. Yellow and green cars depreciated 22 percent and 24.5 percent, respectively, iSeeCars reported. Brown, red, gray, white, blue, black, silver and beige vehicles were closer to the depreciation average, with values falling between 28.5 percent and 31.2 percent. But there’s another reason vehicles in rarer colors retain value better – lower average mileage. The average mileage of a three-year-old orange sports car, for example, is 27,210 miles, and even less for muscle cars at 26,822 miles, iSeeCars reports. Those mileage averages are almost 10,000 miles less than the average of 36,324 miles for all vehicles. And what of the sharp drop in the value of gold-colored vehicles? For better or worse, that also means you’ll have to drive an orange, yellow or green car in the meantime.